When you are thinking about purchasing or selling a home, it makes sense to hire an agent who has the ability to proactively negotiate and communicate; as well as think outside the box to find solutions to ensure the property and people involved end up at the closing table. During real estate transactions, there are usually issues that arise and no two transactions are ever the same. The agent representing you and your home should be able to navigate anything that comes up during the process. Here are a few examples that have helped my clients have a smoother real estate transaction. The real estate market has highs and lows and the right agent will know how to help buyers and sellers navigate the current trends. During a competitive buyers’ market your agent should do everything in their power to help your offer stand out from other offers. A great way to stand out above your competition is to write a personalized letter to the sellers and have your agent send it along with the offer. This letter should include personalized info about yourself, your family and the reasons you want to purchase the home. Making a good impression at an open house is another way to keep you in front of the listing agent. If you write an offer, the agent should remember your name and pass that information along to the seller. This could help the seller choose your offer. Most homebuyers have a home inspection done prior to closing on the property. During the home inspection process, heating/plumbing system, water quality, air quality or structural issues may arise and it can be daunting on how to navigate both parties to come to an agreement and/or solution. In many cases the buyer would like item(s) completed and paid for by the seller prior to purchasing the home. If the seller does not have the cash flow to pay for the item(s), what happens then? A great solution, which many people may not know about, is to have the technician performing the work, be paid out of the seller’s proceeds at the closing. This ensures the work is completed prior to the closing and both parties are satisfied with the solution. During the real estate transaction process, buyers and sellers usually need recommendations for inspectors, tradesmen and financial service professionals. As an agent, you should have a list of people you trust and can recommend for these services. If the people you recommend perform quickly, honestly and well; this will reflect back on you. Hopefully if you recommend these people, they will recommend you and send business your way as well. Katie Kinney is a Broker with Landing Real Estate. 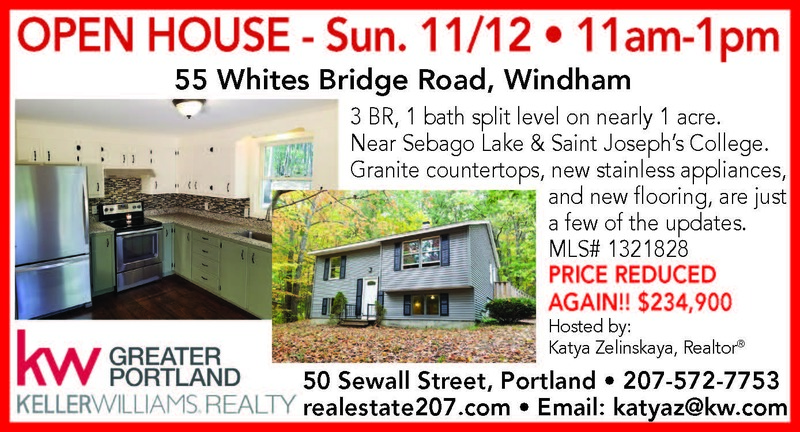 She represents buyers and sellers in the Greater Portland Area. For all your real estate needs contact Katie Kinney at katie@landinghomesmaine.com or 603-205-2276.